Email and video have known each other for a while now, and their relationship is complicated. It’s like one of those old friendships you’ve fostered since elementary school. Each individual is always evolving, but the bond remains intact. 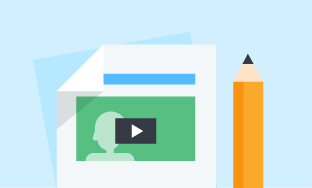 When you boil it all down, email helps videos gain exposure, and videos help email get opened, read, and clicked. When deciding how to incorporate video in email, there are many factors to consider: overall goals for the email, technical limitations, and user experience, to name a few. 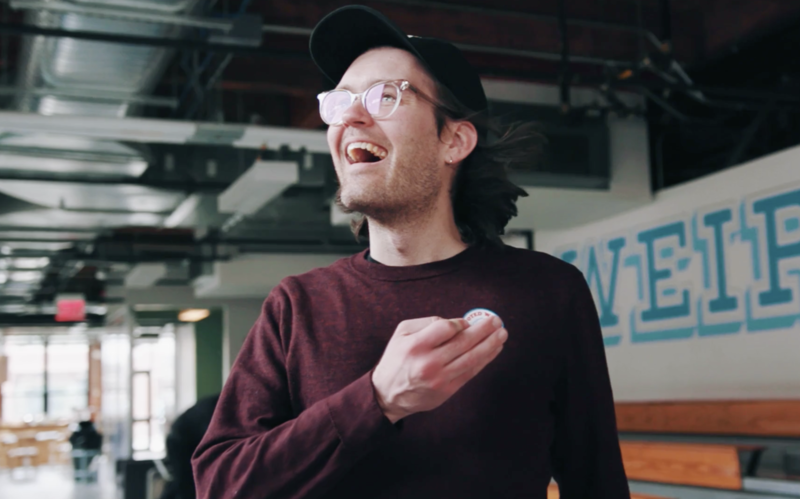 In this guide, we will show you how Wistia uses video and email, talk to a few others who are using video well, discuss some fun experiments, and share some free video-centric email templates! Given that email is the primary vehicle we use to stay in contact with our audience, it’s proven to be the most effective way to get our videos in front of receptive eyes. Since 2011, we’ve been using this magical combination to cultivate a growing audience. We compose an email that includes an attractive link to a video on our website. We send that email to a loyal audience-base. An enthusiastic percentage of that audience shares or forwards our email. Through these shares, new viewers discover our content. If they find it useful, they sign up for our emails, too (fingers crossed). By harnessing the power of both email and video and using them hand in hand, we have delighted our readers and made lots of new friends (err, readers). Of course, this tactic is also dependent on delivering timely, helpful, and engaging content consistently, but that’s a lesson for another time. Before diving into technical feasibility, browser compatibility, file sizes, and other considerations, we’d like to ask a fundamental question: What’s the goal of your email? For at least 95% of our emails, the goal is to get people to leave their inboxes and consume content on our website, for multiple reasons. We want them to comment and start discussions. We want them to share a link with their friends. We want them to read another article, watch another Wistia video, and ultimately sign up for more content or our product, all while learning about video marketing. All of this is only possible if you can get people to your site first. 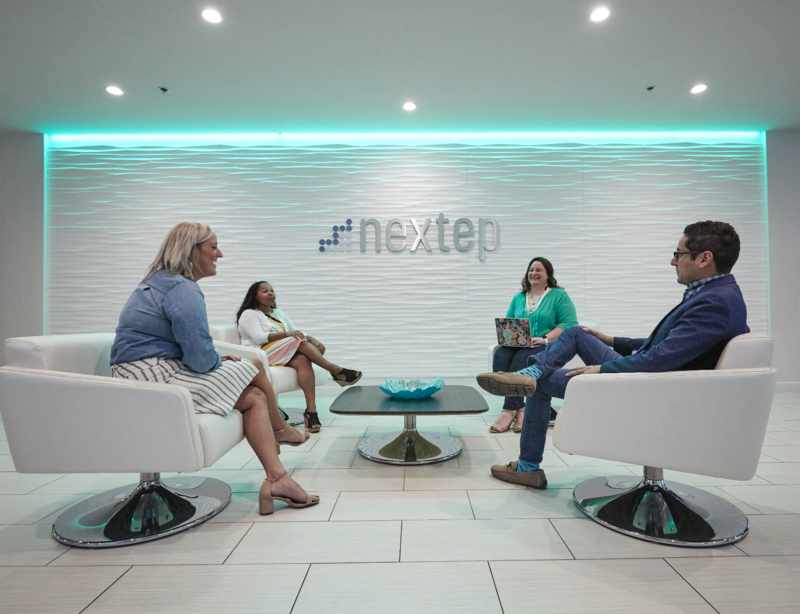 With multiple opposing voices and new technology entering into the discussion every day, it’s hard to stay afloat of options and best practices regarding video and email. 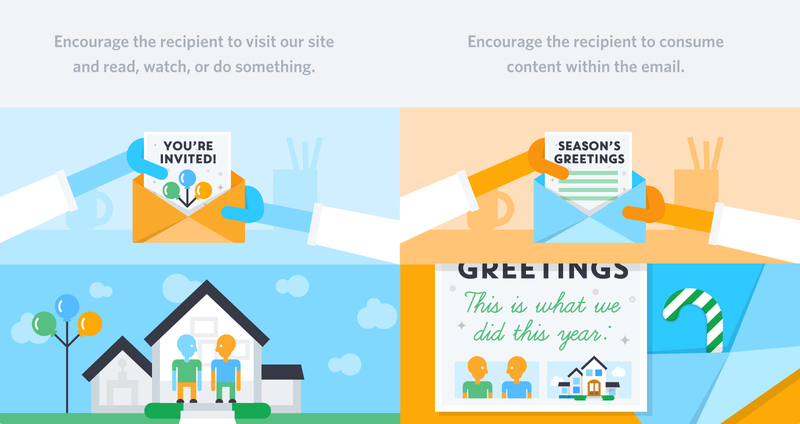 By now, many of you have probably seen a video or a GIF embedded directly into your inbox. If you haven’t, that might be because your email client doesn’t play well with video. In these cases, the sender most likely set an image as the default option, or, worst case scenario, the email arrived at your door looking like HTML roadkill. Let people know there’s a video (subject line, email text, play button on a thumbnail). 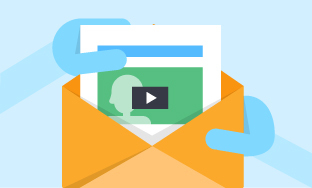 Choose an enticing thumbnail from your video to include in your email (hint: friendly faces attract clicks). Link that thumbnail to a page on your website. Keep the number of calls-to-action limited. We’ve found that a friendly play button atop an enticing image is a highly effective invitation, especially when the text in the email is direct and concise. 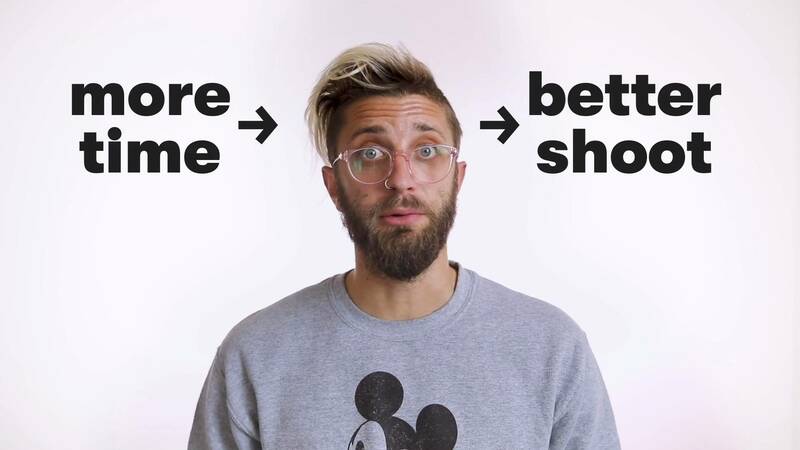 We imagine that most readers' inner-dialogues go something like this: "Looks like there’s a new Wistia feature. Hmm. Do I have time? Wait. Is that guy going to do magic tricks?!" Click. You can generate traffic to your website quickly and efficiently by including an appealing link in your email. 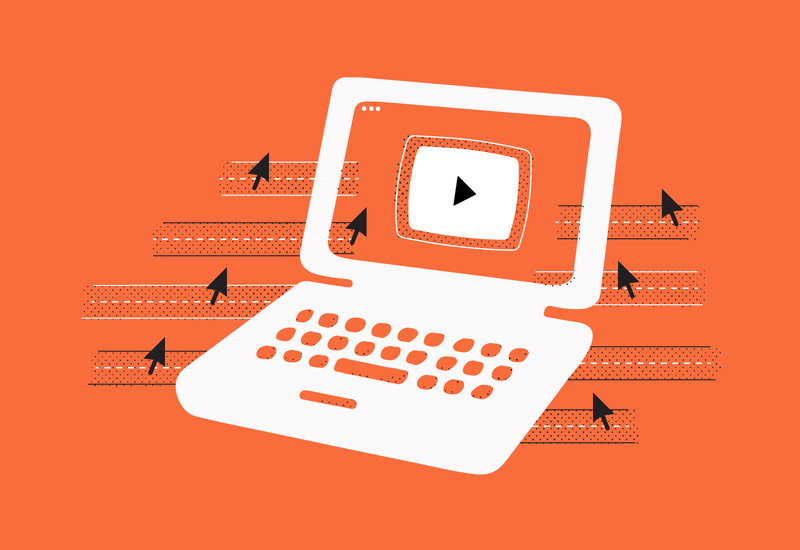 Unlike a video playing within an email, a video playing on a company’s website is surrounded by complementary elements. Why settle for giving your audience a taste when you can provide them with total immersion in your brand? Although we don’t generally recommend embedding video directly in your email, there are some cases when it might be effective. Any type of direct communication, in which conversion is not the priority, could benefit from this approach. Take, for example, a video voicemail delivered to a customer’s inbox. Assuming the technological side of the equation runs smoothly, the message is immediately available. No distractions or necessary clicks. Just a friendly face talking from your inbox. Similarly, if you’re seeking to build your brand and showcase your company’s personality, embedding a video can be an optimal optical option. Try saying that three times fast. If you’re thinking about giving an email embed a try, don’t forget that HTML5 video is only supported by a small number of email clients. In fact, Apple Mail is the only email client that will reliably support embedded videos. Campaign Monitor maintains a comprehensive list of email clients and the video options they support, for reference. Where video is not supported, most clients will fallback to an image, so it’s critical that your image can stand on its own with the rest of the design for the email. 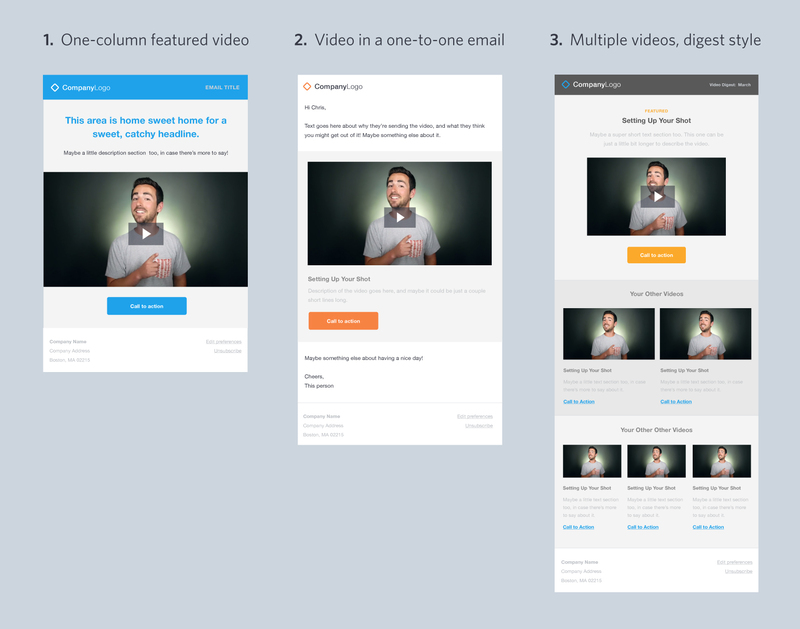 An email about Litmus’s Email Design Conference in August 2014 had us all talking, mostly because it included an autoplaying HTML5 video background. When you opened the email (in select email clients), the text appeared on top of dynamic footage from a past conference — speakers presenting, participants smiling, groups of people chatting. After seeing this email, we began to wonder how Litmus executed this design. Luckily, email designer Kevin Mandeville laid it all out for us on the Litmus blog. In a response to a comment on the post, Kevin noted, “It’s all about knowing your audience and a lot of progressive enhancement/graceful degradation depending on your approach to tackle email client rendering.” Kevin further explained how information about their audience encouraged the decision to utilize a video background. 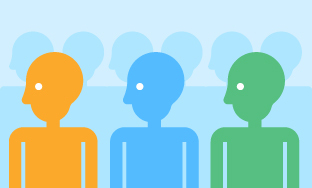 "It’s not just about what clients it works in, but what clients it works in for your audience. For instance, ~30% of our audience uses Apple Mail, so it was worth it for us. Not to mention, it also works in the web version for those who viewed in Chrome/Safari. It ended up being a really successful experiment for us because of this!" 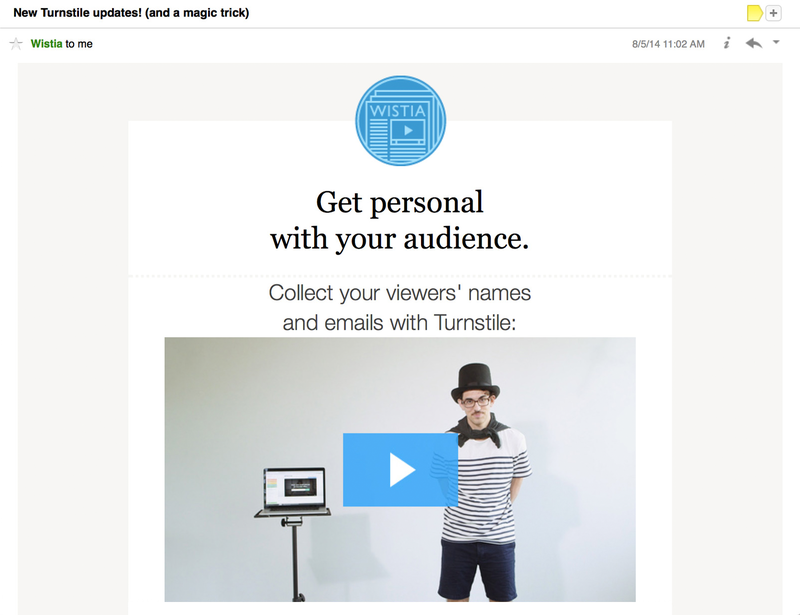 Animated GIFs can be a great, accessible alternative to video, if you’re looking to give your emails some extra spice. The one thing to remember is that file size matters. GIFs won’t animate in an email until all of the frames are loaded, so larger file sizes can create a subpar experience. If you’re lucky, an oversized GIF might pause on the first frame. Conversely, it could appear completely blank. As a rule of thumb, email GIFs should be under 125K. 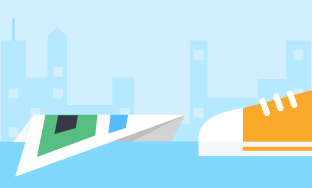 For further reading, Litmus has a great blog post on using animated GIFs in email. One of my favorite emails from this year came from Airbnb. If you’ve visited their homepage recently, you’ve seen their alluring background videos. Many of them start out quite still, and then surprise you with barely detectable motion. An email this past summer featured the following video GIF, which aligned with the style of their website’s subtle, scenic videos. Since less than 10% of the frame is in motion, the GIF almost presents itself as a still shot with a fun surprise. I think I actually smiled when I noticed the tiny bubbles. Maybe I’m just a sucker for happy, bouncing children, but I was impressed by Airbnb’s execution on this email design, and I definitely clicked the call to action. 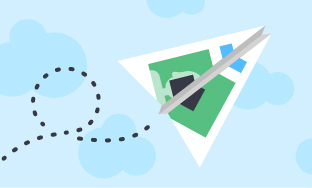 Animated GIFs have been around for a while, but like crazy straws, they haven’t lost their appeal, so we decided to experiment with one in our own email this year. For this particular email, our goal was to encourage our audience to watch a video and read a post about DIY techniques for making your first video. 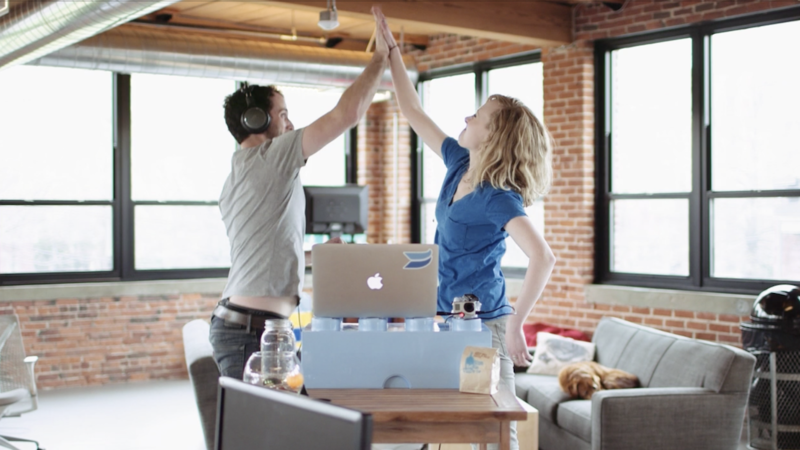 We decided to include this animated GIF in the email to set an energizing, playful tone, and to suggest at the existence of a fun video (with sweet high-fives). You’ll notice that the image quality isn’t optimal in the GIF we used, and of course, there’s no sound. When compared with our other blog-related emails this year, the percentage of readers who clicked to open the video GIF email (18.98%) was just about average. Obviously, there are many factors that influence a reader’s decision to open an email, but this departure from our typical still image with a link to a video didn’t appear to make many waves. Maybe some small ripples, at best, but we hope it at least made this email a bit more delightful! If you haven’t already gathered, we are really passionate about the relationship between email and video. That’s why we decided to give you all some free templates to get you started! 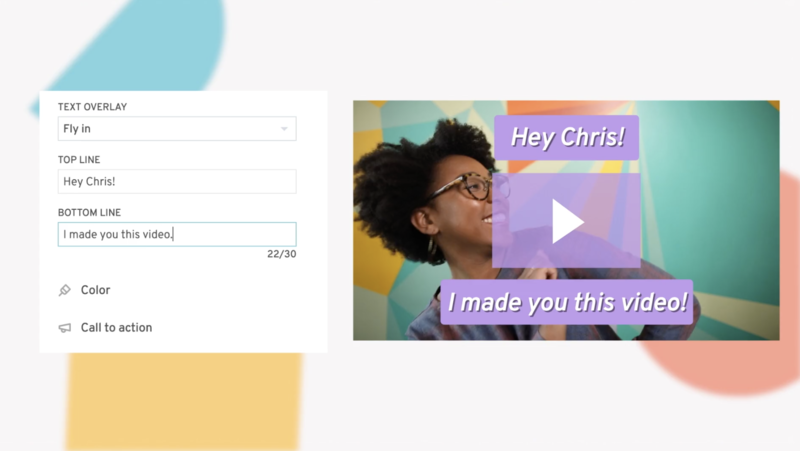 Whether you’re just starting to experiment with the dynamic duo of video and email, or you’re already grooving, we hope these templates will inspire and empower your efforts. 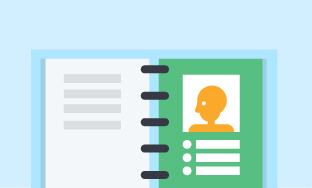 We designed and built each template from scratch, based on our experience to date. They’re set up so you can easily replace components with your content and make changes to fit your needs. They’ve been mobile optimized and put through Litmus’s testing tool to ensure cross-browser compatibility. At the end of the day, it’s all about your goals and your audience. Are you trying to teach people about your company and increase conversions? Are you hoping to wow readers and fuel a flurry of posts on social media? Are most of your readers opening their emails on their phones? If you are unsure, we recommend trying out some different strategies and tools and comparing the results. We’d love to hear about your findings! Who knows? Maybe the cinemagraph will suit your needs.